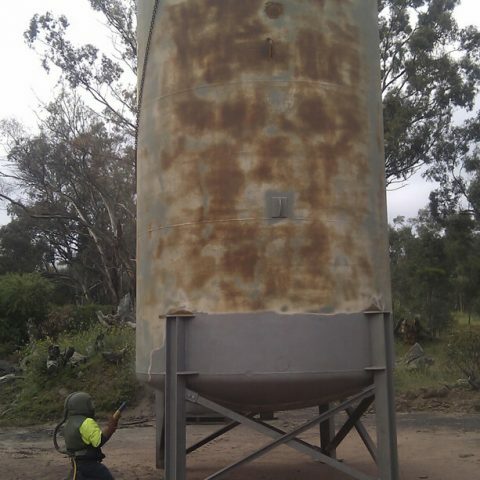 Polyspray is the onsite mobile abrasive blasting specialist for Melbourne, Ballarat and across Victoria. 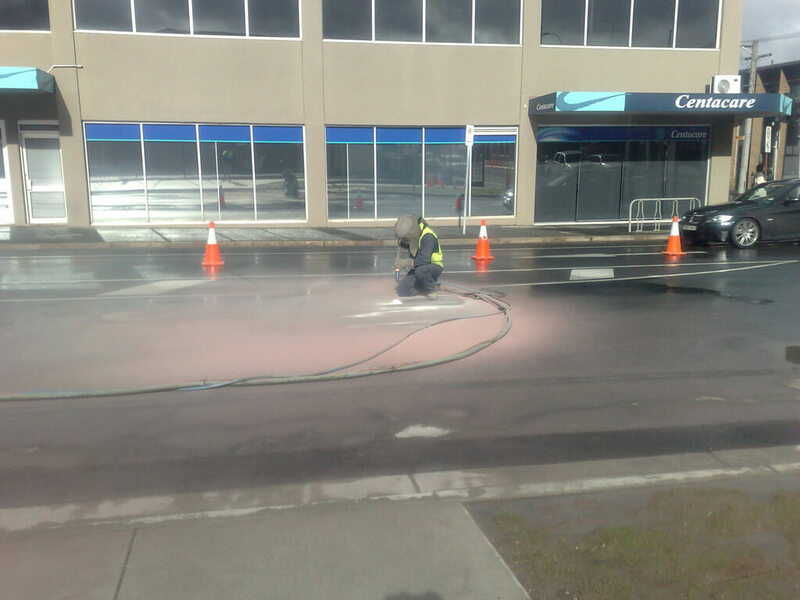 Mobile work is all we do and our services range from garnet blasting using brand new garnet, which is safe for use and approved by health authorities, through to dry ice and soda blasting, popular in Melbourne and other capital cities. 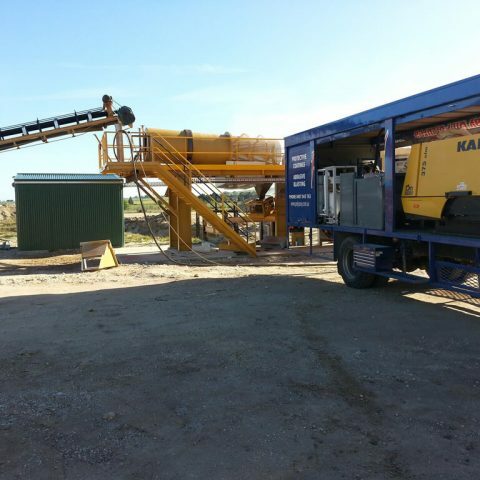 Our mobile sandblasting units are clean and functional and we industrial-strength new-age compressors to get the job done fast and to specification. 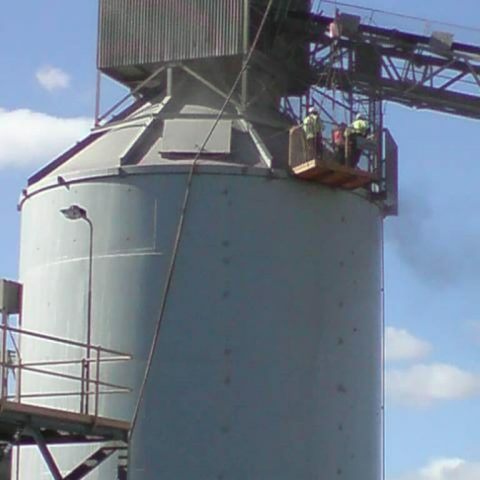 We are able to blast wet or dry and have dust extraction units to minimise and collect dust if required. 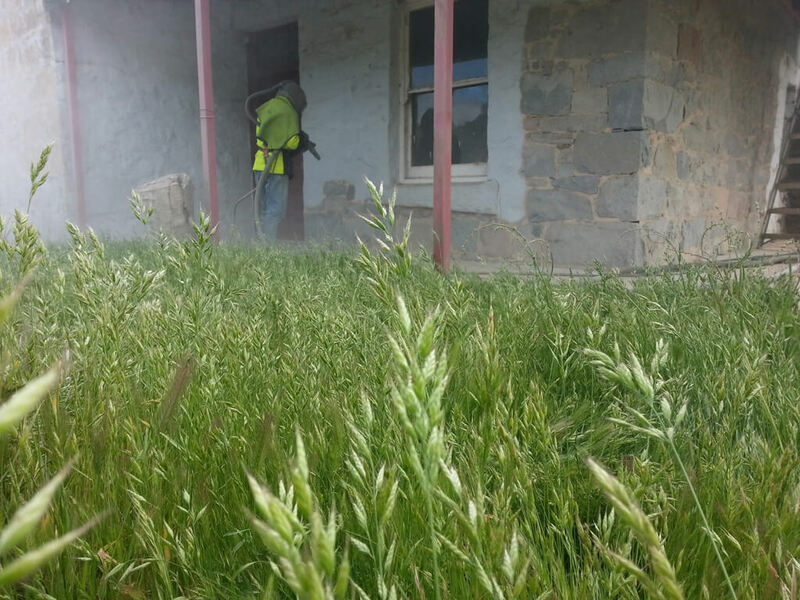 Polyspray also has a large vacuum unit at our fingertips to clean up as we go. 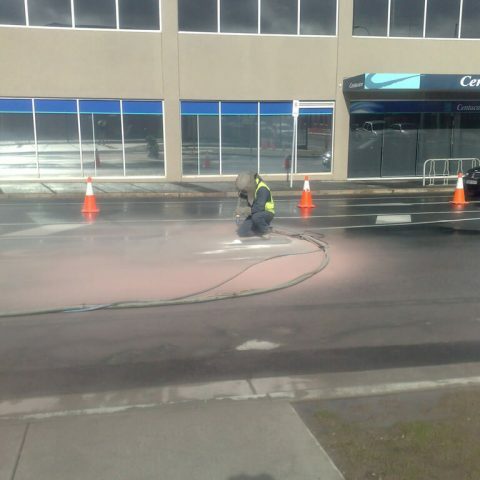 The key to our success is preparation, and garnet blasting in particular provides one of the best bases to start your next painting project. 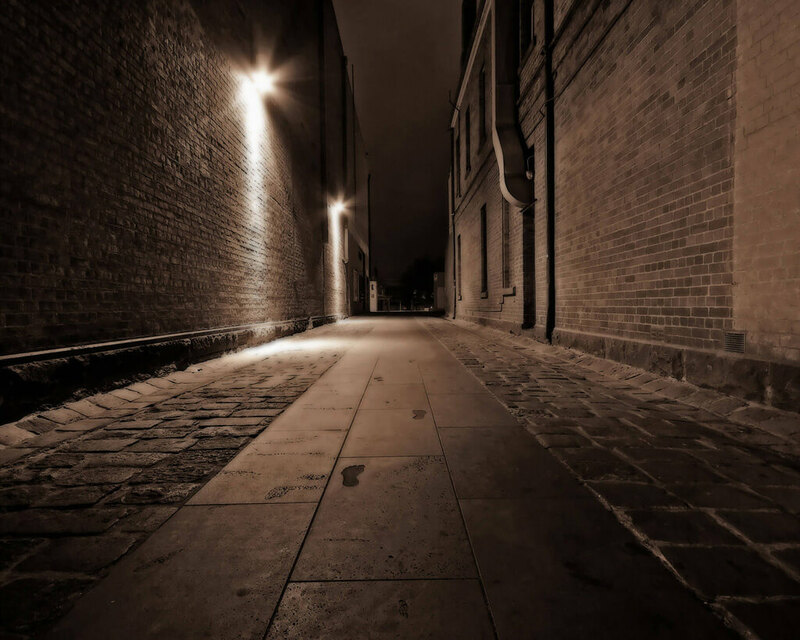 Why garnet blasting? 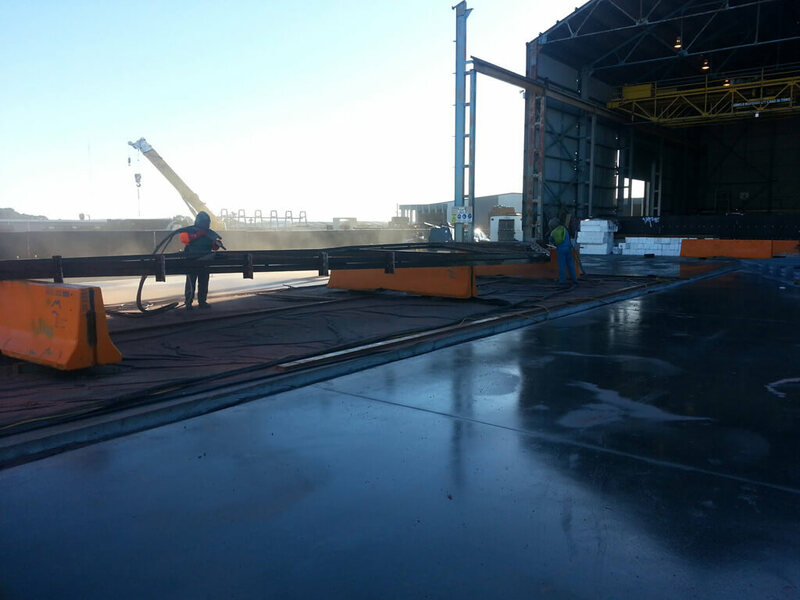 Preparation is the key to coating success. 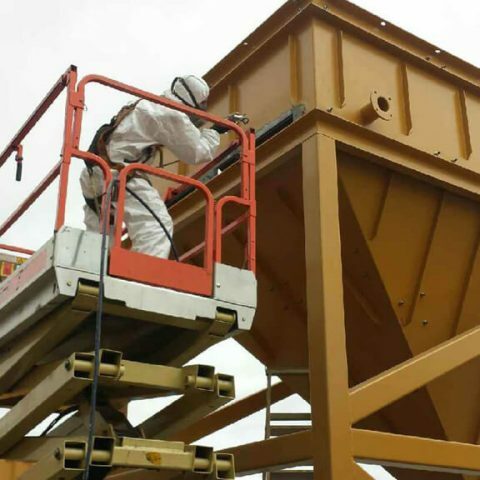 Garnet blasting removes rust, corrosion, unwanted paint and oils from the substrate and giving the substrate a clean profile for which the coating can adhere to. 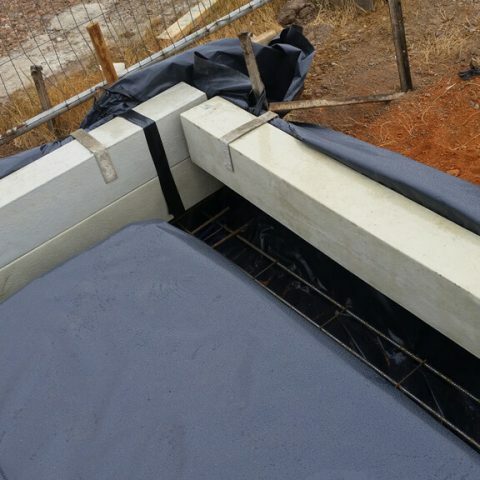 Garnet is the safest, fastest and best form of blast medium. 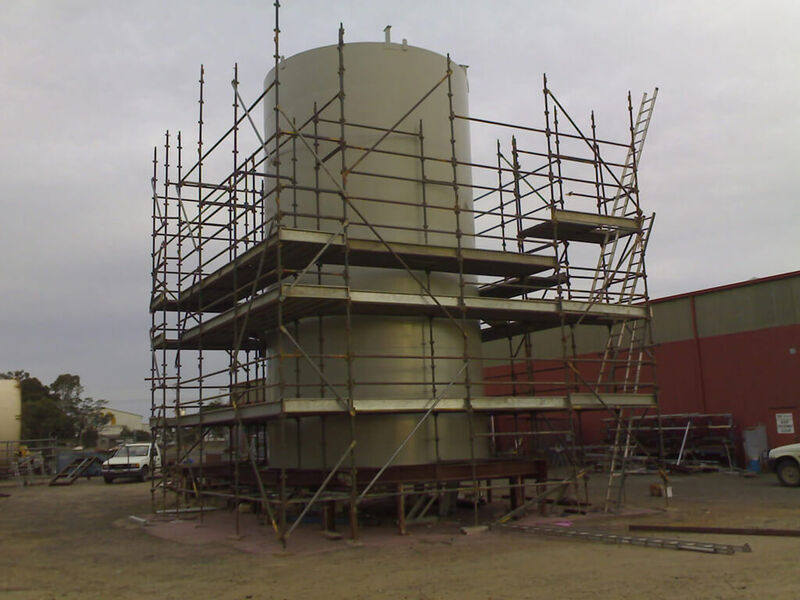 Polyspray can use other mediums for special requirements. 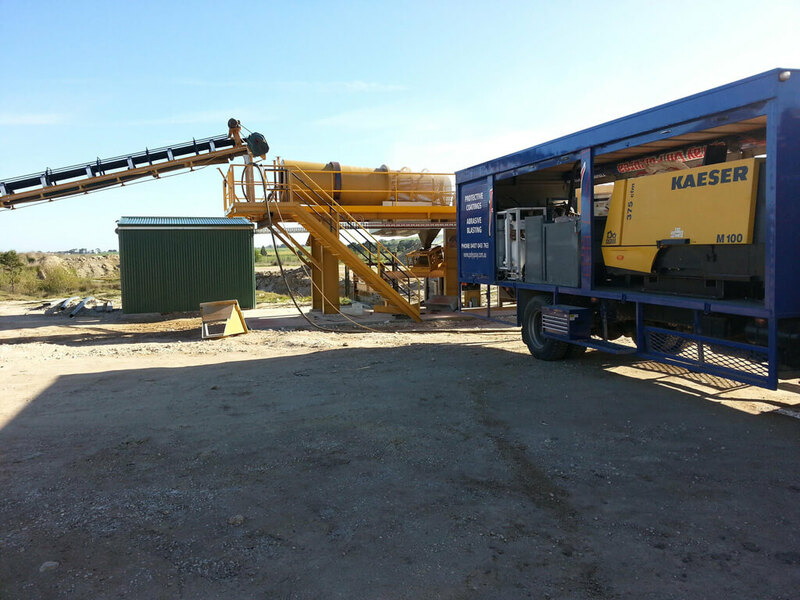 We have all the latest gear and technology to cater for any job. 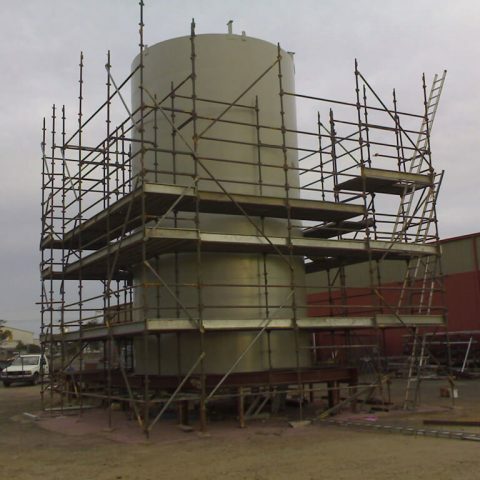 Give us a call to discuss your individual requirements. 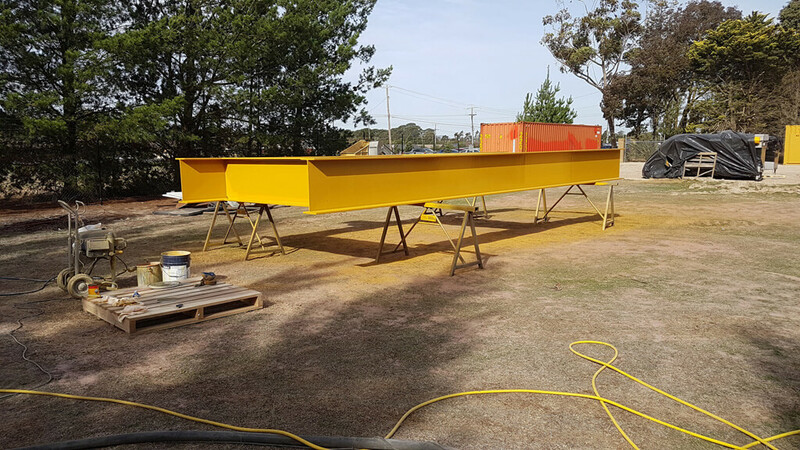 Polyspray have the skill set and equipment to garnet blast and paint all structural steel for all projects regardless of its size. 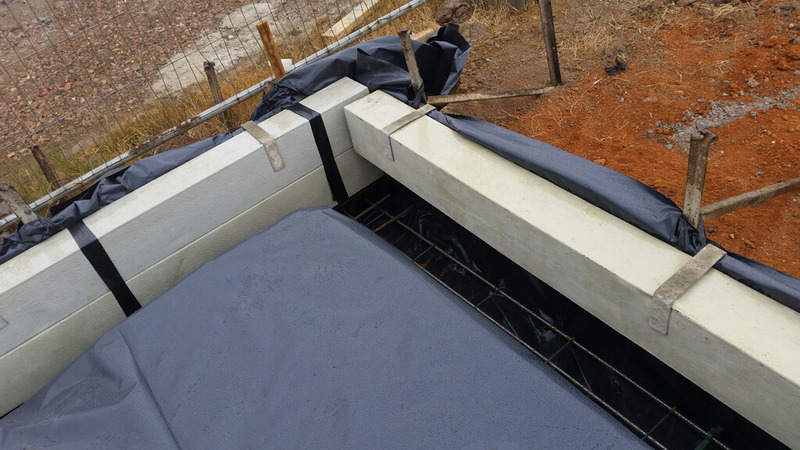 From small pipe to large bridge beams we will see that your project is done on time and to specification. 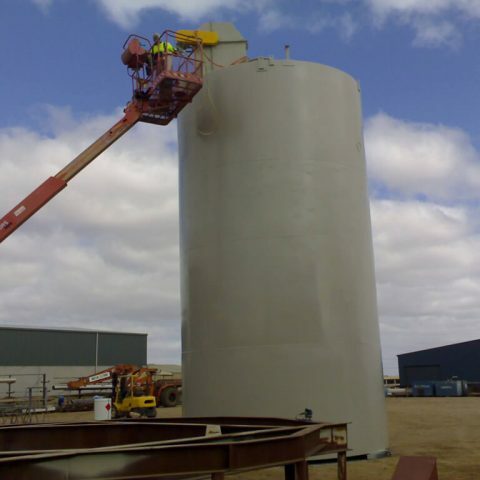 We are able to blast and paint on site anywhere for those projects that costly to move or we can do it in-house for smaller items and re ship it back you. 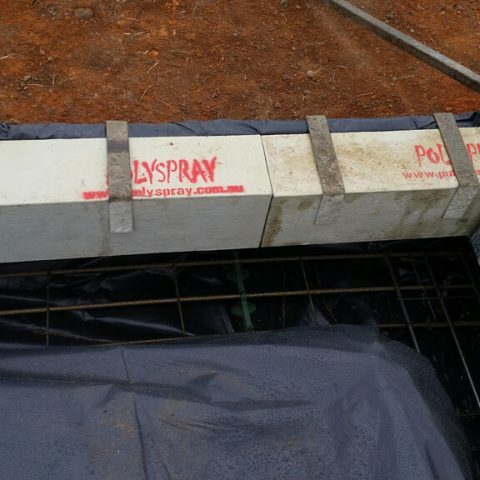 Polyspray has the equipment and expertise to sandblast brick, stone and concrete. 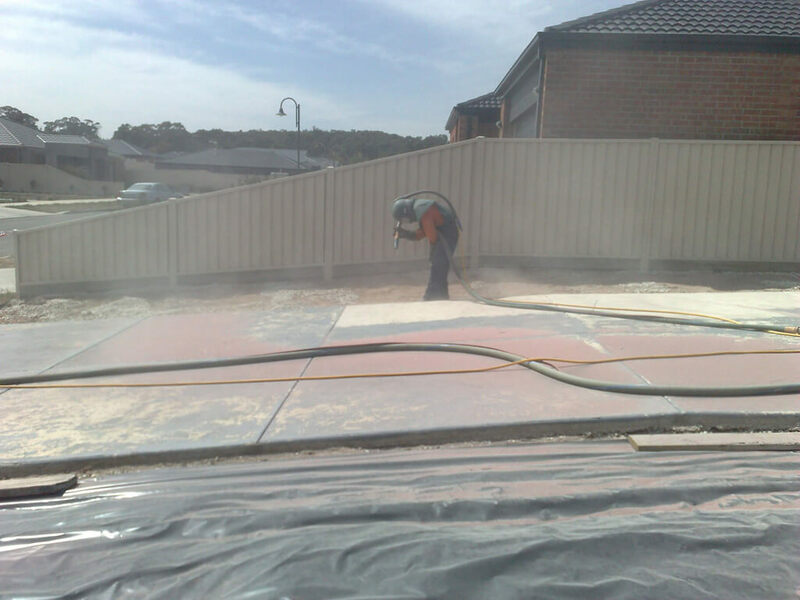 Whether it is removal of paint, lime wash, render or simply expose the aggregate in the concrete Polyspray’s mobile sandblasting in Melbourne, Ballarat and across Victoria is right for the job. 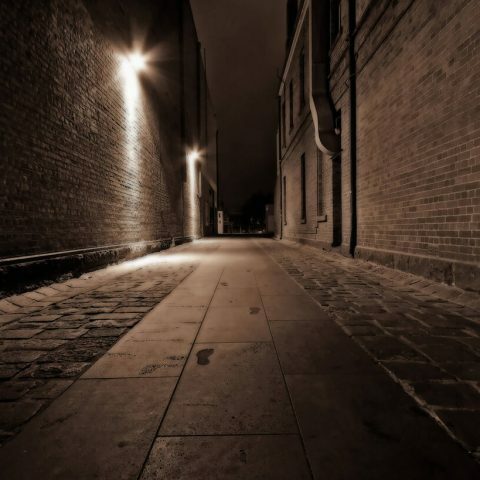 Experience tells the story. 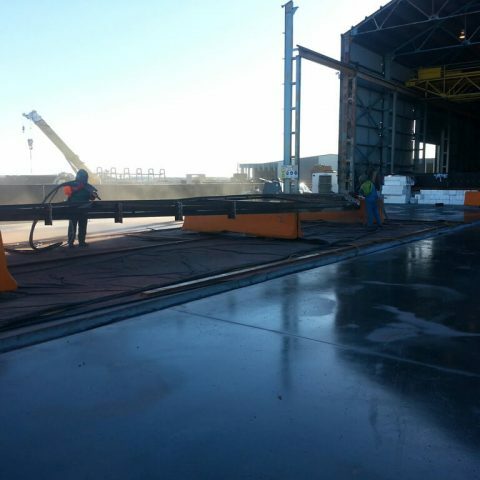 Our employees are well versed in blasting theses substrates wet or dry. 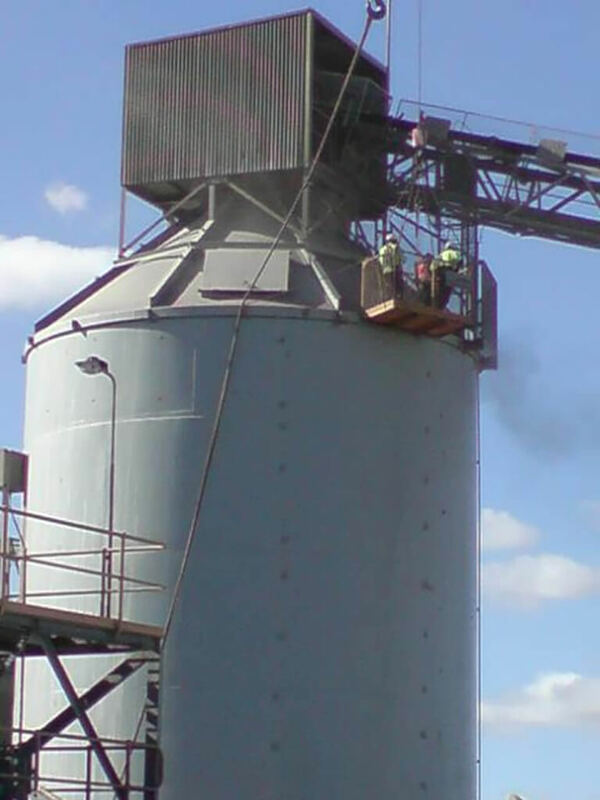 We have the necessary equipment for dust extraction should it be required and for the larger jobs we have specialised extraction equipment available to stow all dust safely, as per EPA specifications. 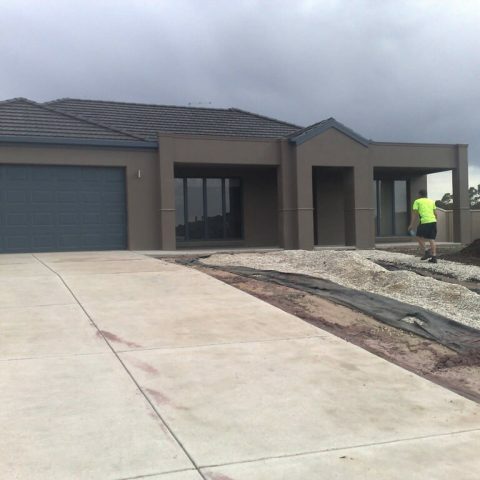 We also specialise in stencil work, having completed many stencil exposed aggregate jobs in Melbourne for new residential estates, as well as sandblasting for concrete rebates. 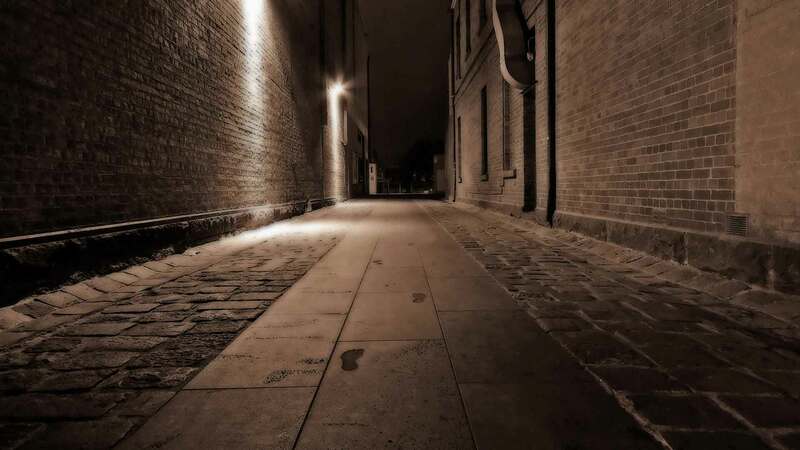 give the surface a new profile. 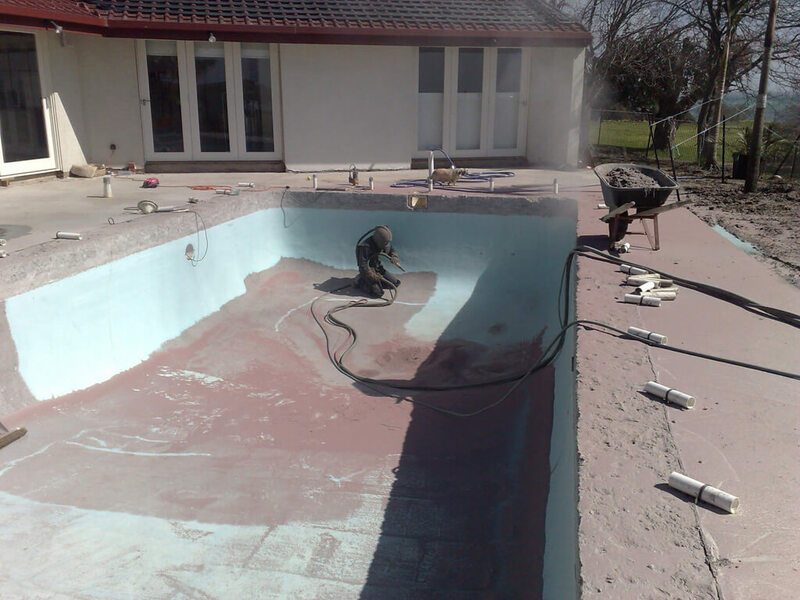 We can prepare for tiling, pebbling, paint or polyurea. 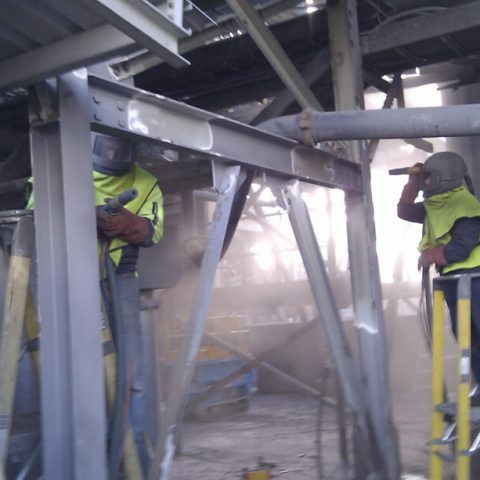 We have pebbling and tiling contractors on our books to help out. 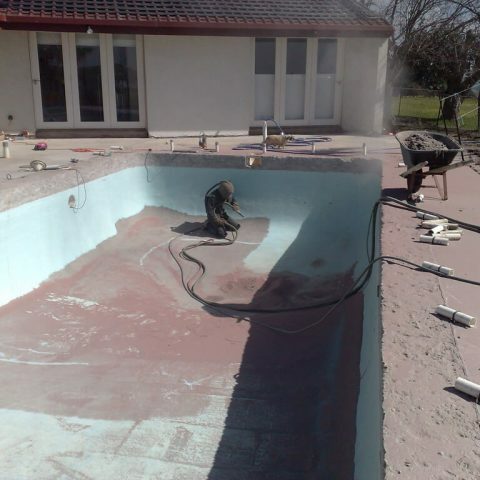 Polyspray can complete your pool from start to finish. 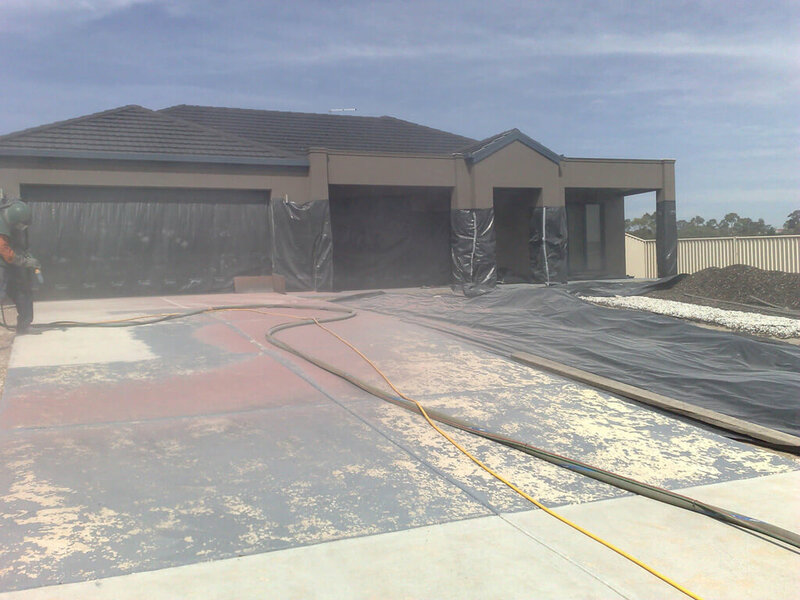 Wet grit blasting, as the name suggests, involves the addition of water to the blasting medium for a less abrasive finish and a more consistent finish. 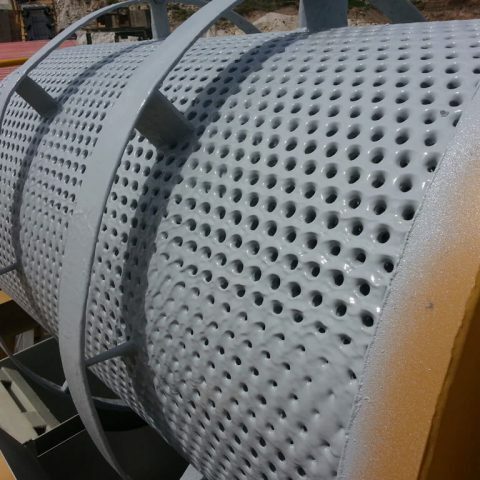 For surfaces that require an exceptional and uniform surface finish, Polyspray would recommend wet grit blasting rather than traditional abrasive sandblasting methods. 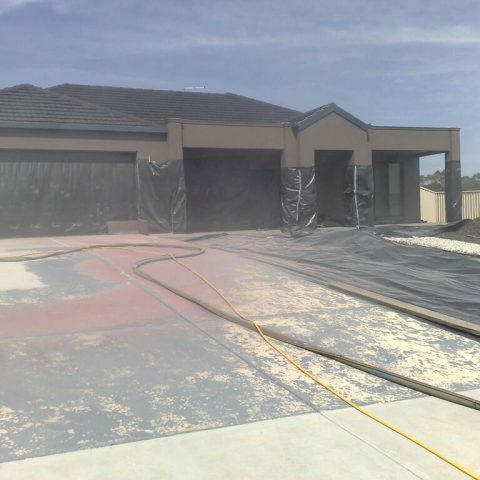 Glass bead blasting is popular method of sandblasting for vehicle restorers because the glass beads used in the blasting process do not affect the metal surface and leaves behind nothing that might contaminate the surface. 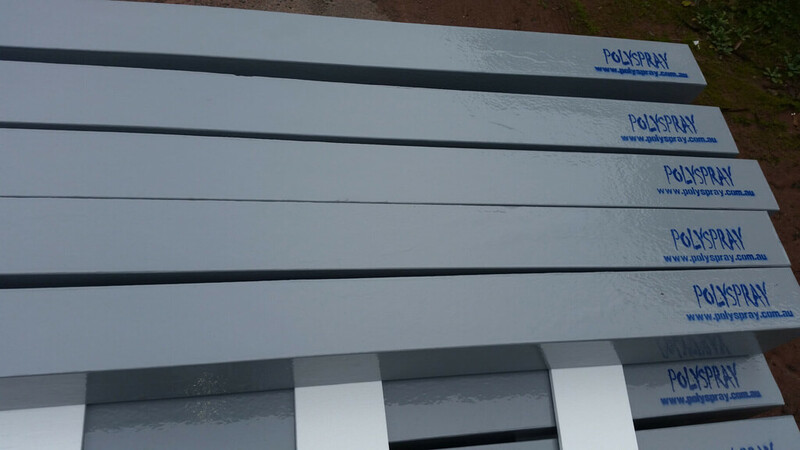 Ideally, particularly for surfaces requiring high-quality finishes, glass bead blasting leaves a matte finish that reveals any blemishes requiring attention. 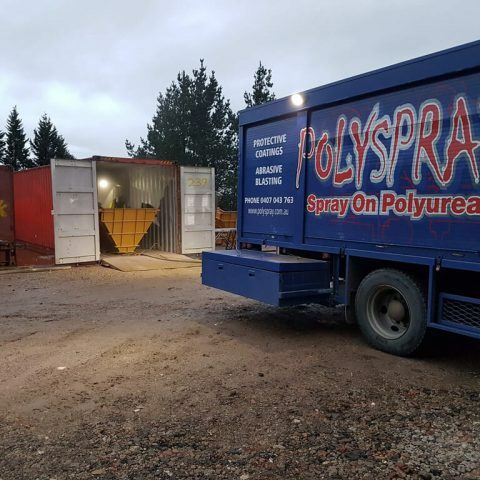 Unlike some mediums Polyspray uses in its mobile sandblasting service, glass beads are suitable for surfaces ranging from steel and aluminium through to rubber and plastic. 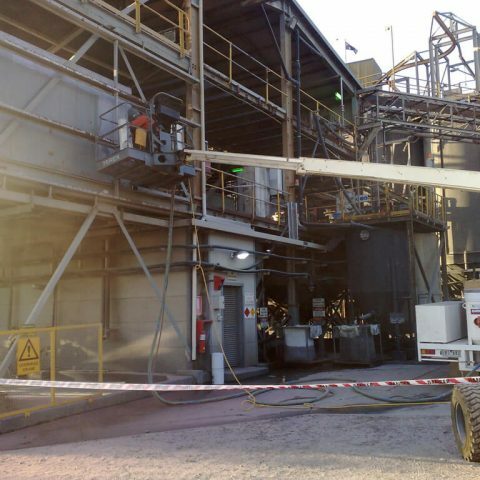 Glass beads can be recycled many times, making them an appealing option for the environmentally conscious. 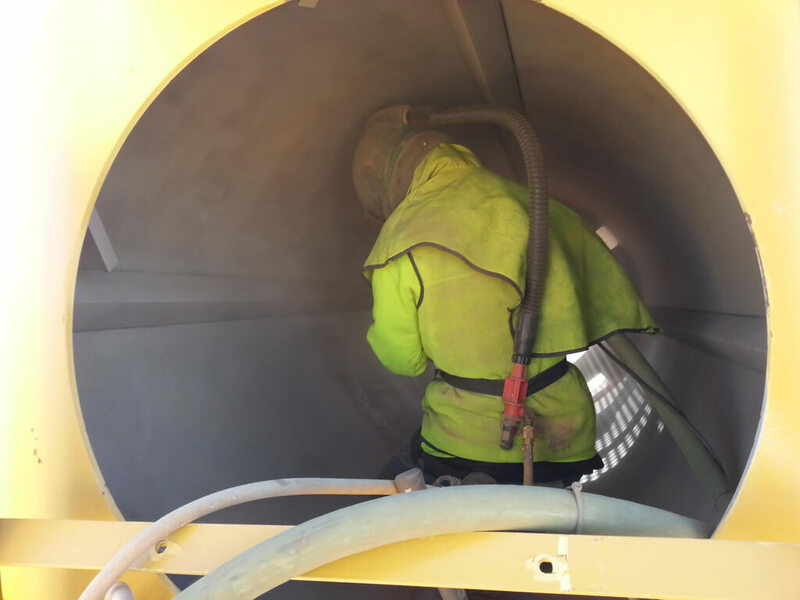 Abrasive sandblasting can be a dusty job and in many settings the dust from our mobile sandblasting service is no problem. 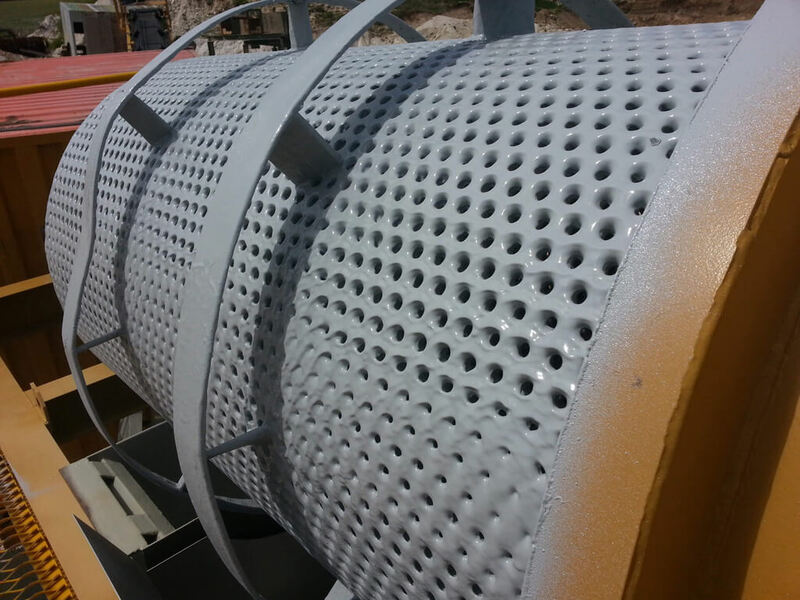 But in other circumstances, dust is unacceptable and must be contained, which is where our vacuum sandblasting comes into its own. 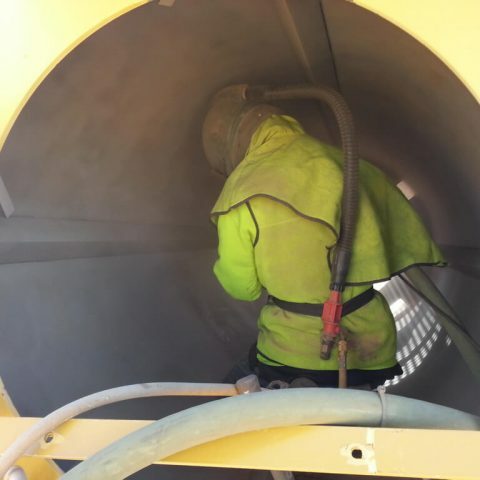 Vacuum sandblasting contains and removes dust, keeping the worksite and surrounds dust-free and uncontaminated by the abrasive sandblasting medium and by-product. 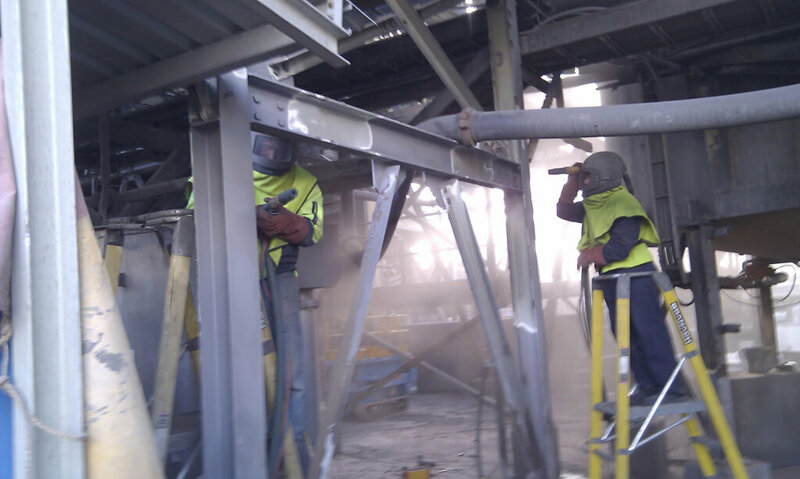 Vacuum sandblasting is perfect for industrial sandblasting jobs where delicate machinery and equipment is involved. 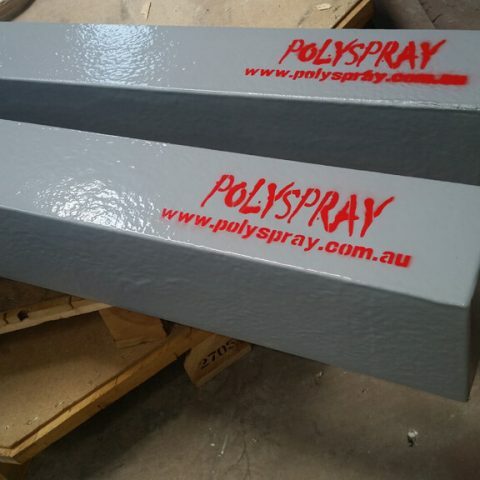 At Polyspray we create solutions not problems. 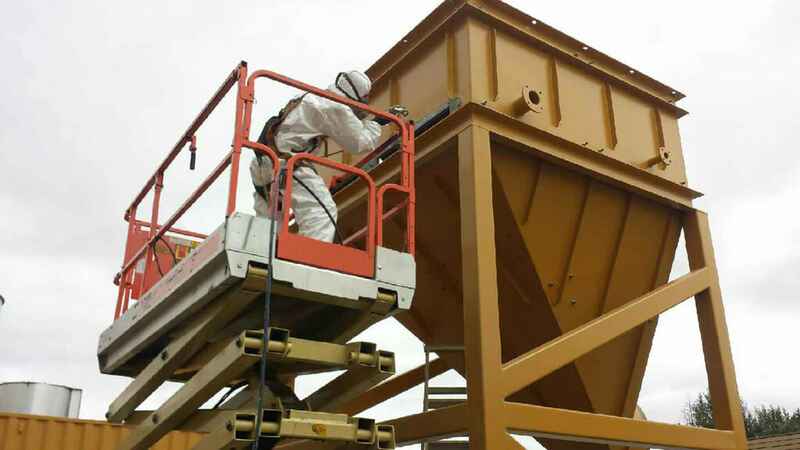 We can build a full encapsulation unit around your project with dust extraction. 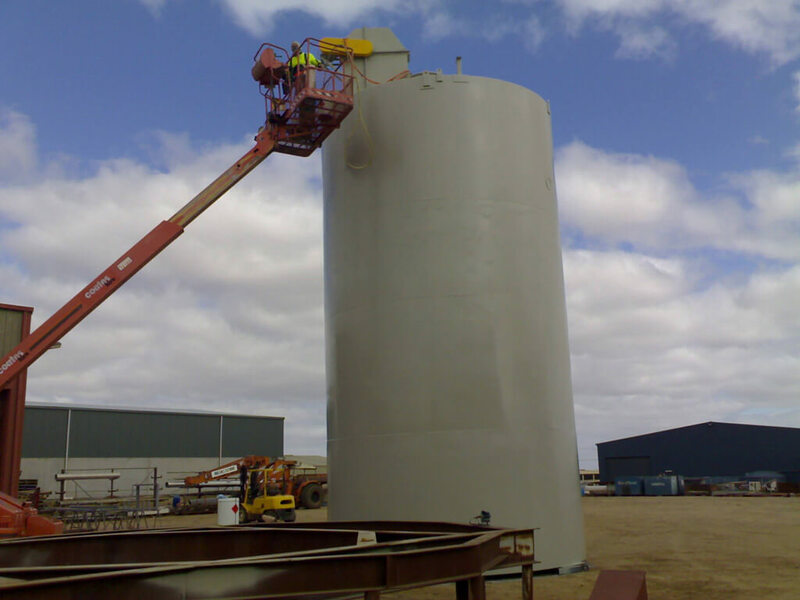 Plant and workers can continue to operate whilst blasting and painting takes place on that special project. 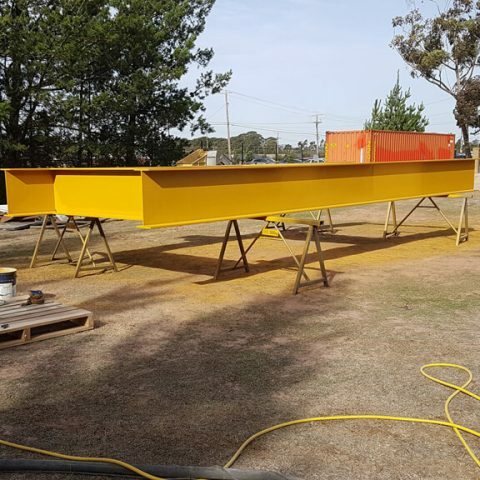 We specialise in mining plant and equipment, commercial and civil infrastructure and earthmoving equipment, from steel tanks to brick buildings or structural steel to concrete stencilling. 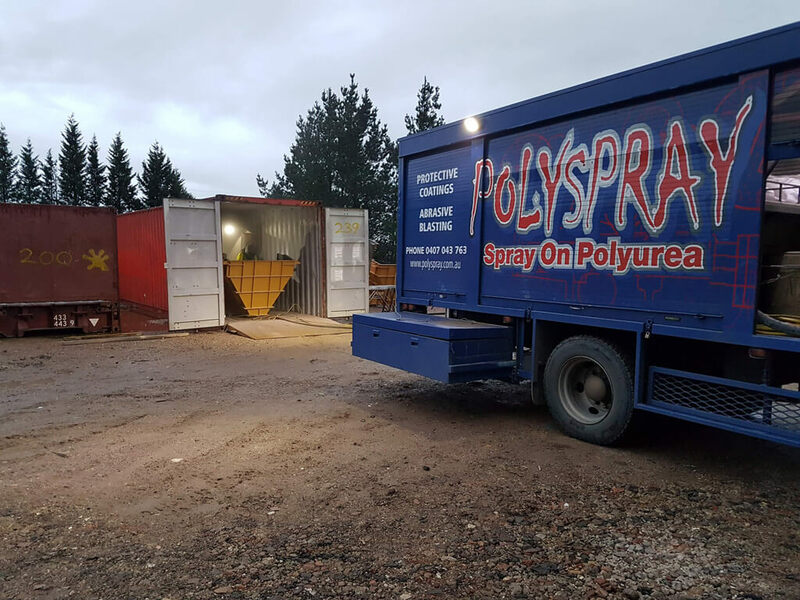 Polyspray also uses other forms of blast media for more specialised jobs, such as soda blasting for graffiti and thin panels, dry ice blasting for delicate machinery that needs degreasing and steel shot for blast peening and stretching of steel, just to name a few. 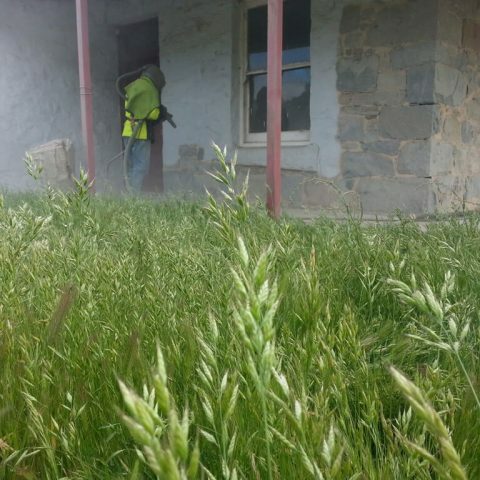 Whether it is a new construction or heritage listed, Polyspray and PKs Mobile Sandblasting are up for the task to blast all aspects of your building. 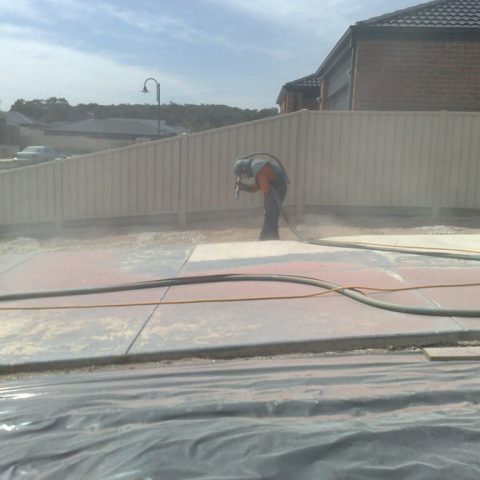 Polyspray is fully equipped with large compressors to get the job done on time and to specification. 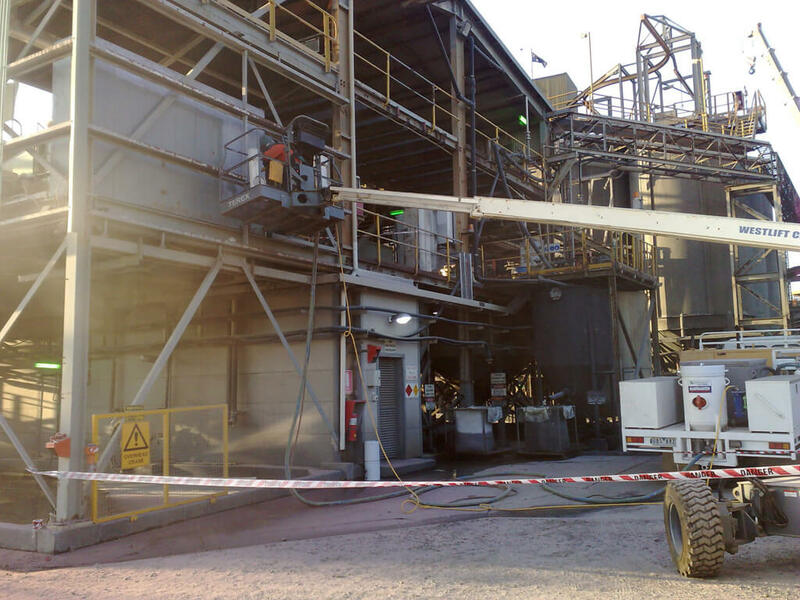 We have full in house OHS Systems and Quality Control Management to ensure everyone goes home safe and sound, so the job is right from start to finish. 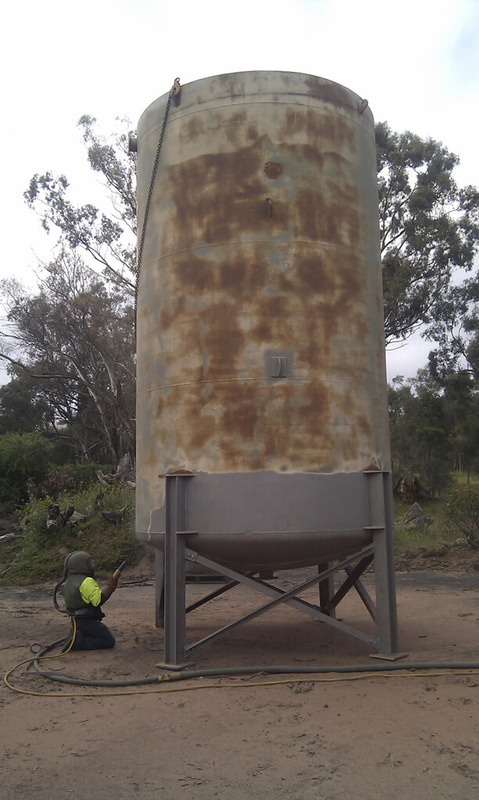 Polyspray also has the very latest in testing equipment from dry film thickness gauges to digital blast profile gauges. 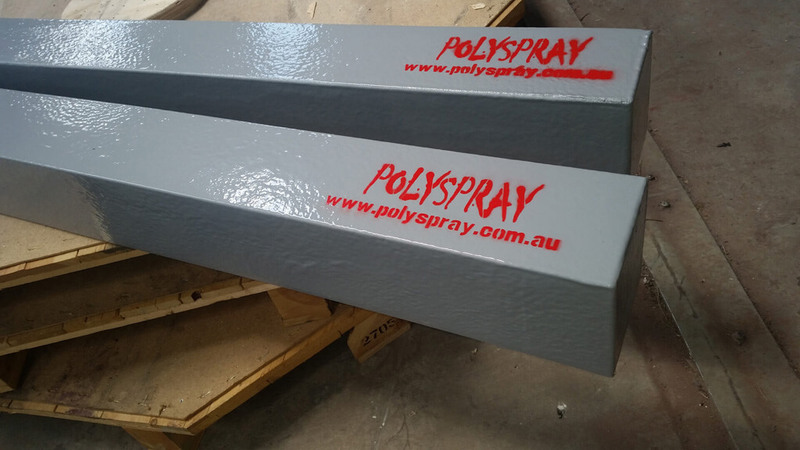 Polyspray has designed what we believe is the toughest, lightest rebate ever, which gives the perfect rebate finish every time. 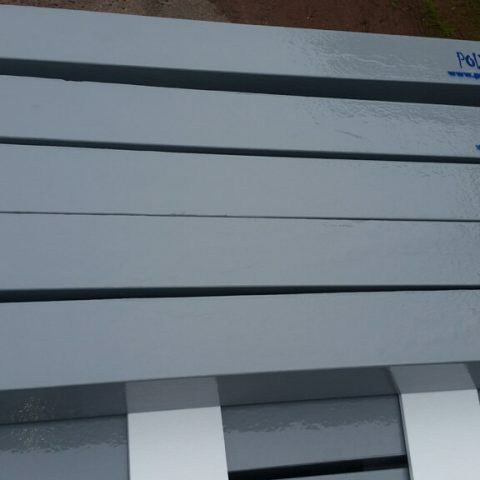 Coated with Polyspray’s spray-on elastomer, a popular choice in our painting and coatings range, it provides a seamless and waterproof coating and is hard wearing, abrasive resistant, shock resistant and puncture proof. 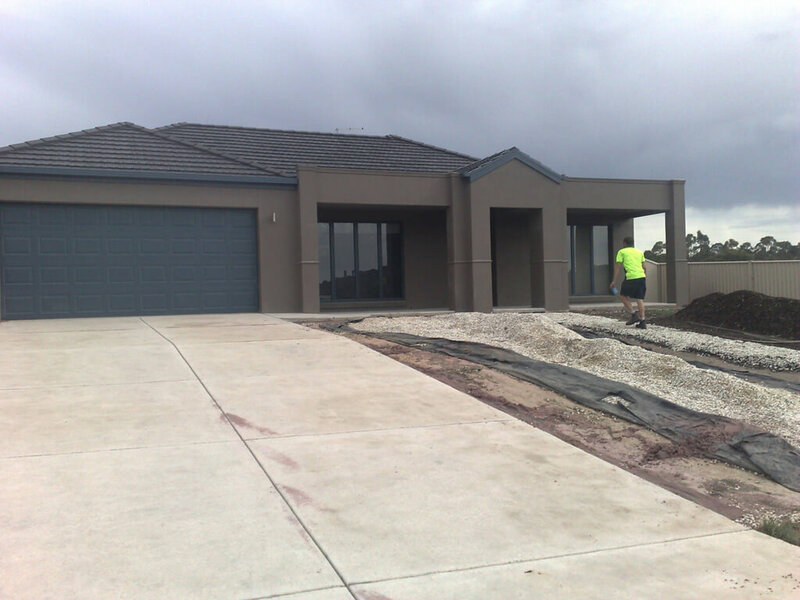 If you want to be the very best you can be and stand out from the rest, try Polyspray’s concrete rebates. 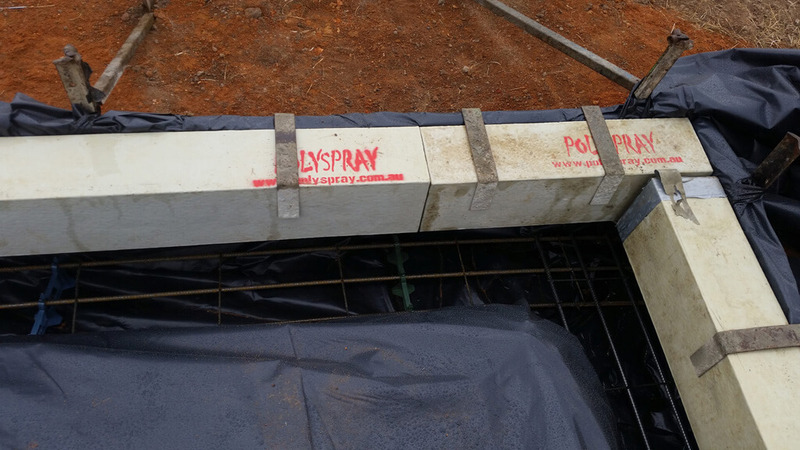 Contact Polyspray a call for a free demonstration and quote.